Dr. Davis received his undergraduate degree from the University of North Carolina. Continuing his education at the Medical College of Georgia, he earned his dental degree in 1980. Having grown up in the Metro Atlanta area, Dr. Davis and his wife, Julia, returned to establish practice and resided in Gwinnett Country. Dr. Davis and Julia have 3 grown children: Kathleen (married to Wade Weldon), Alex, and Piper. Dr. Davis enjoys playing golf and piano, reading history, and a bit of painting. Together, he and Julia like travelling, go hiking, and be outdoors. Their church and various civic activities are important to them, as well. Dr. Davis is a leader in Georgia dentistry, both in terms of education and service. He has been invited to lecture to numerous dental societies and has been a speaker at several dental conventions. He is a visiting faculty member at the Pankey Institute for Advanced Dental Education (www.pankey.org). To maintain his commitment to stay abreast of the latest advances in dentistry, he is an active member of the Atlanta Dental Study Group, Hinman Dental Society, and the Georgia Academy of Dental Practice. 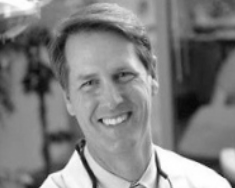 Dr. Davis has served terms as president of the Georgia Dental Education Foundation, Northern District Dental Society, Gwinnett Dental Society, and Atlanta Dental Study Group. He has been state coordinator for Children’s Dental Health Month, facility chairman of Georgia Mission of Mercy, and served three terms in Georgia Dental Association House of Delegates. Dr. Davis has served the staffs of several area clinics for the underserved: Hebron Community Health Center, Christina’s Smile Clinic, and Ben Massell Dental Clinic. He has done dental mission trips to the Dominican Republic and Kenya. He and Julia have served with the Gwinnett unit of the American Cancer Society, Gwinnett Council for the Arts, and Gwinnett Medical Center Foundation. It is equally important to Dr. Davis that each patient understand their dental conditions well enough to make their own decisions about what treatment is most appropriate for them. If the patient enjoys long term satisfaction with the work, then it is important to not only do the dentistry right, but also do the right dentistry. Services (dentist) 1Jamie N. Goodreau, D.M.D., M.S.D.